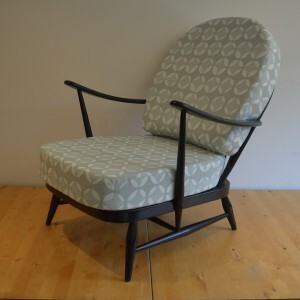 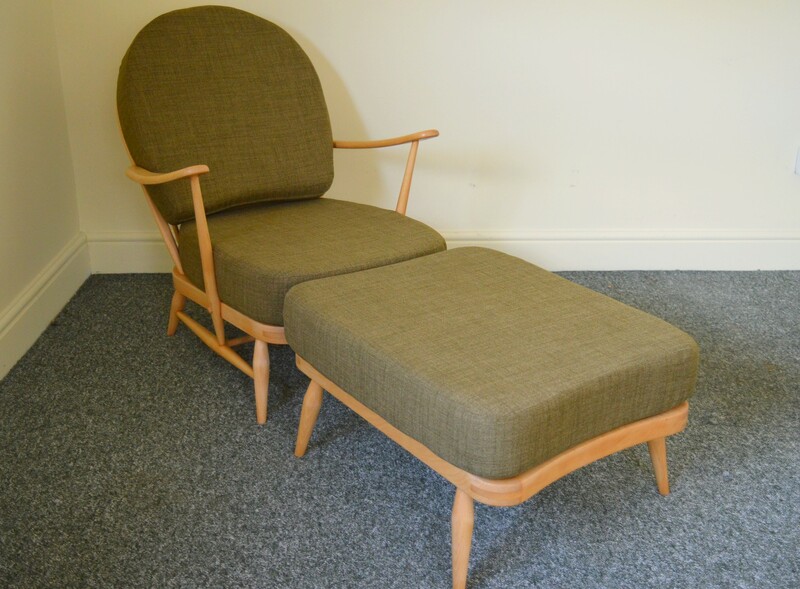 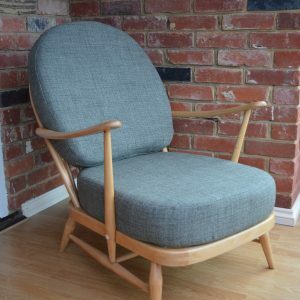 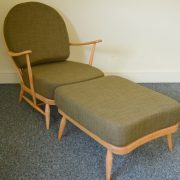 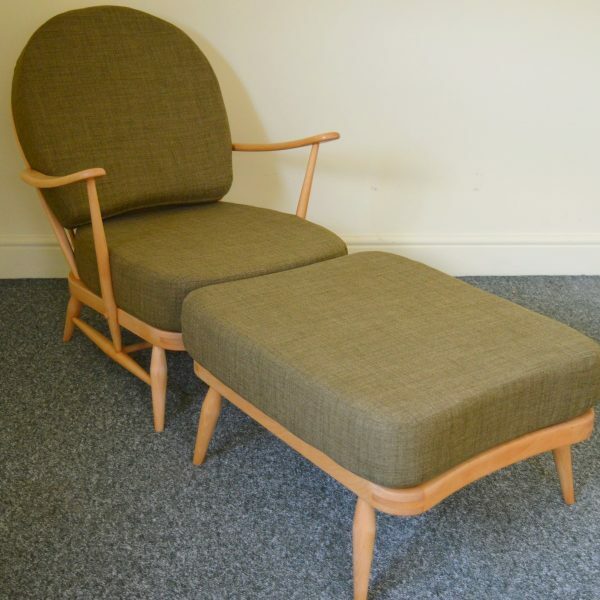 This is the classic Ercol combination: a vintage blond armchair and matching footstool. 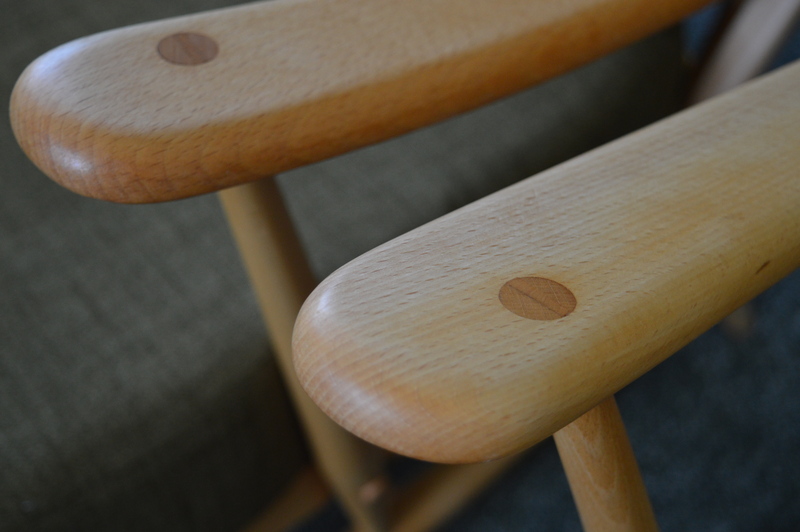 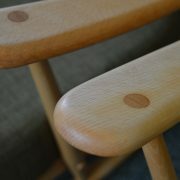 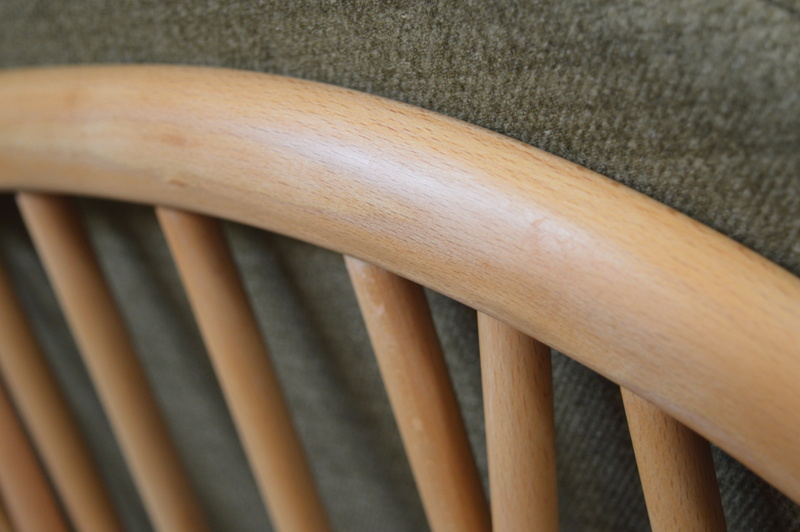 The 203 Windsor armchair and the 341 footstool have both been professionally restored and refinished to their original condition; bringing out the natural sheen of the elm and beech frames. 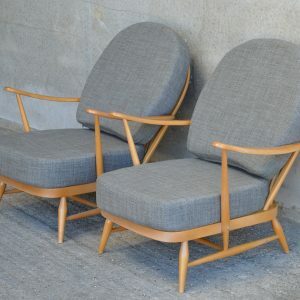 Both pieces have been rewebbed with new Pirelli webbing using traditional techniques and furnished with new top quality foam cushions. 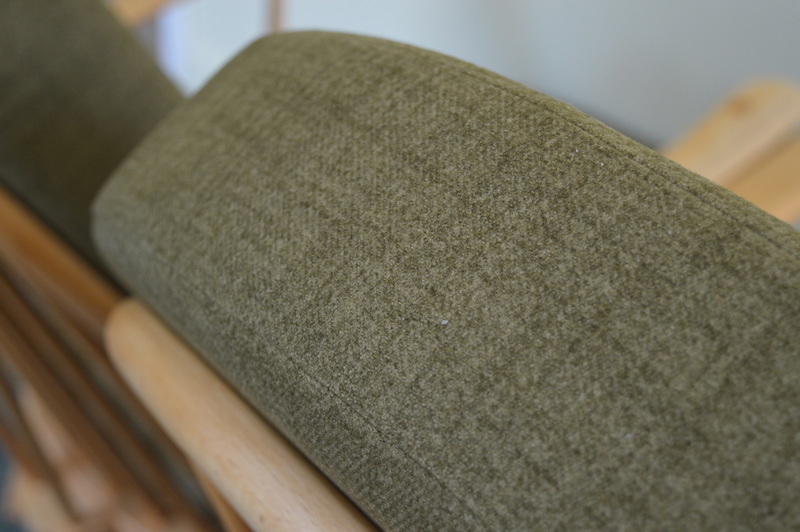 The chair seat and the footstool both feature 5″ Reflex foam, with 4″ luxury foam on the chair back. 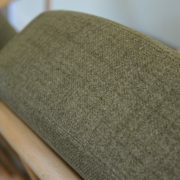 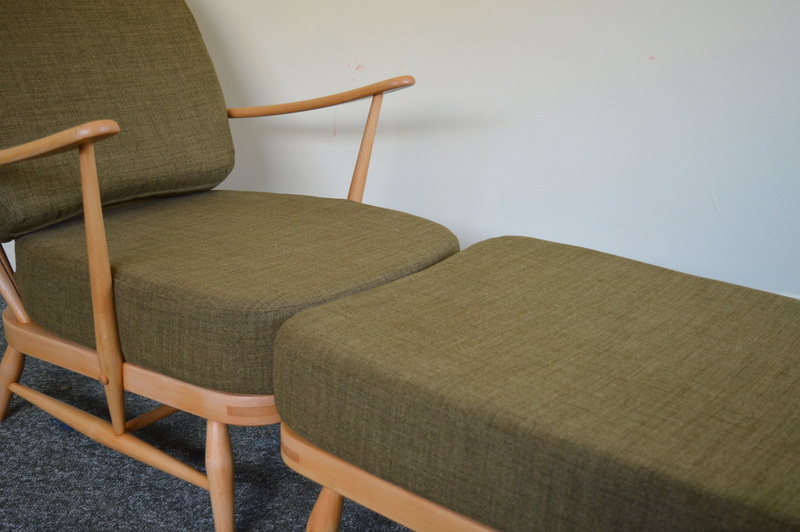 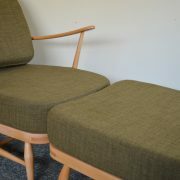 Professionally reupholstered, the soft green covers are handmade to ensure they fit the cushions perfectly. 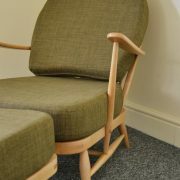 All covers include zip fastenings for easy removal for cleaning/replacement. 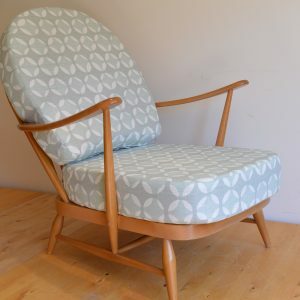 If you would like this furniture in another colour or fabric style, please contact us about our custom covers service; we can make cushion covers using your choice of fabric. 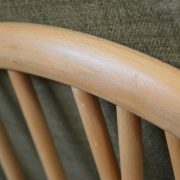 The furniture can be collected from our workshops at Alfriston in East Sussex. 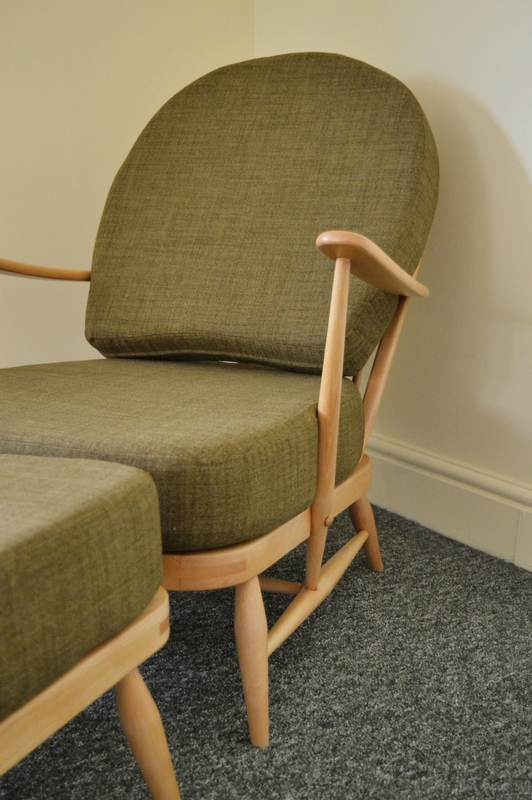 We also offer a courier service throughout the UK and mainland Europe; shipping costs are not included, so please enquire about the costs and options.